Either you have lost access to your VPS server and you want to connect to the server and fix it or you are using Linux distro with GUI which you want to use your own VNC client then you may want to use VNC client and VNC HTML5. IMPORTANT: In Windows VPS, you have to only use Remote Desktop Connection (RDP). VNC is not what you connect with to your Windows VPS. It is only for rescue mode and troubleshooting. Some people complaining about the connection speed. This is because they don't use RDP (Remote Desktop Connection) to connect to their Windows VPS server. There are two ways to connect to the VNC. You can use our in-built HTML5 VNC connection which gives you the power to troubleshoot any problem (but it is slow) or you can install your own VNC client (like TightVNC Viewer) and connect with it. How to use HTML5 VNC? 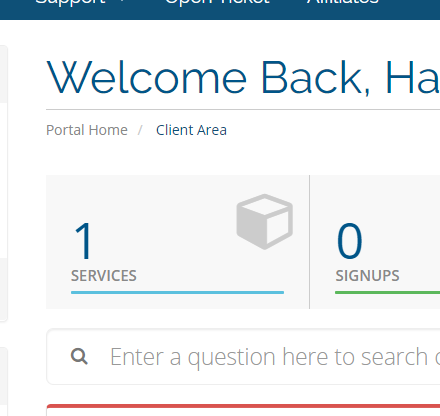 Step 2: In this page, you will see the Control Panel of your VPS which you can manage your VPS servers. You can do various things from here. 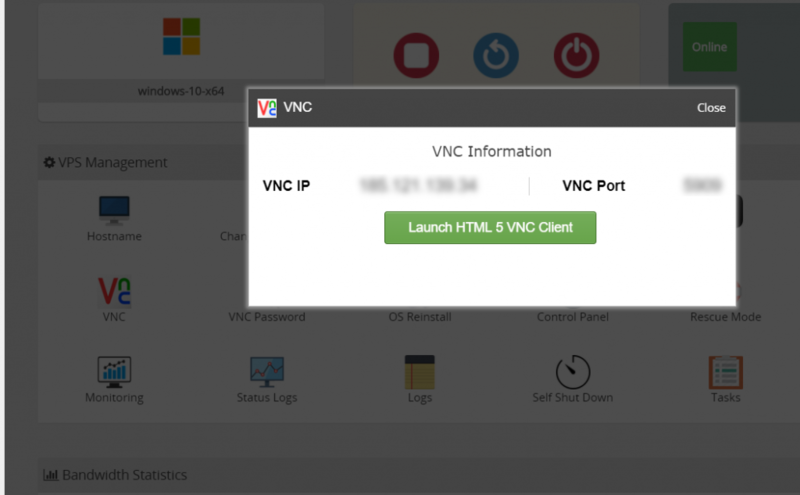 In your Control Panel click on 'VNC' a top up would open then click on 'Launch HTML 5 VNC Client' like the screenshot below. Now a new window opens up and you will see your server screen. How to connect via VNC client? You can install your desired VNC client like TightVNC Viewer. Enter the login detail of VNC which has been sent to you when you have received the VPS and connect to it. Question: I cannot connect to the VNC? It gives me error message 'authentication failure'? This usually happens when the VPS is turned off. So first step to make sure the VPS is running and it is online. You have to see the 'Online' icon on the top.